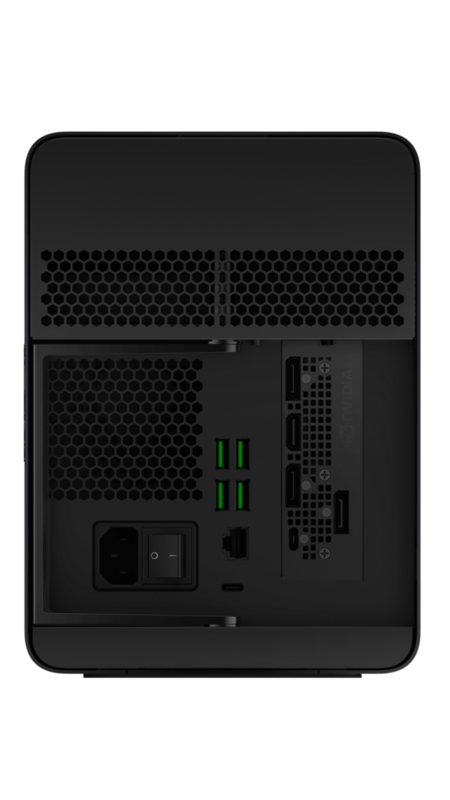 If you thought last year's Core X external graphics dock was missing some of that Razer flair, you'd be right. The new Core X Chroma embellishes the eGPU with configurable LED lights that should feel instantly familiar to owners of Razer keyboards, mice, and other accessories. Razer launched its Core X eGPU docking station late last year as a larger alternative to the original Core V1/V2 series. It integrated a more capable 650 W PSU compared to the 500 W PSU on the Core V2 in order to support more demanding graphics cards. Oddly enough, the Core X was missing the signature Chroma LED lights that even the smaller Core V2 had by default. The upcoming Core X Chroma will address this directly by incorporating similar Chroma LED features as the Core V2. 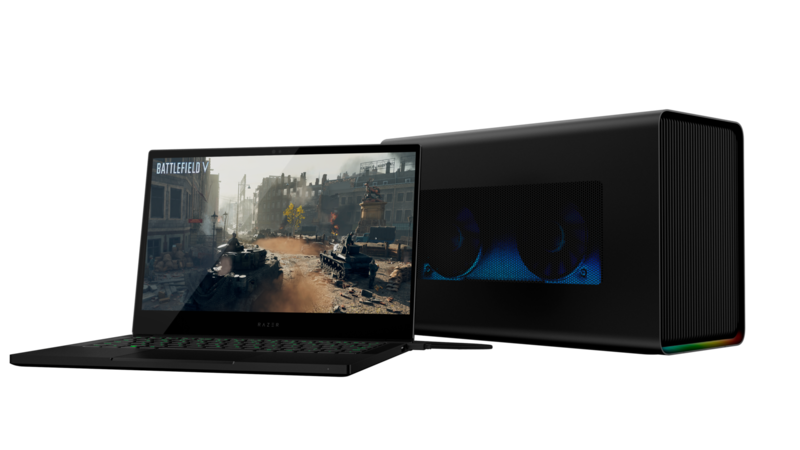 This is something that should have been on last year's Core X given that most Razer devices already have RGB LEDs, but we suppose it's better late than never. Razer also took the opportunity to improve some features under the hood. 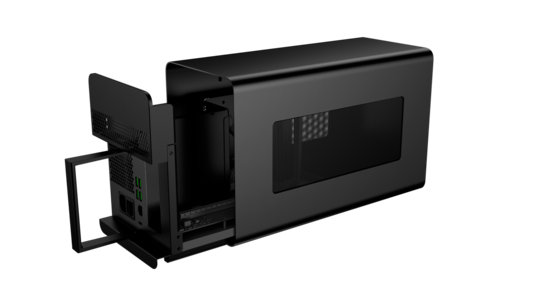 The Core X Chroma will house an even more powerful 700 W PSU with more USB Type-A ports along the rear. 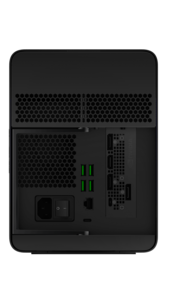 A new Thunderbolt chip inside the chassis promises more stable USB behavior when multiple USB devices are connected to the Core X in a daisy chain configuration. 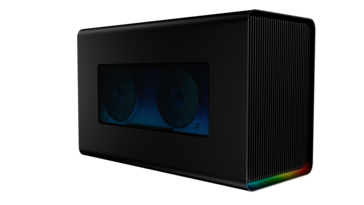 The actual chassis and dimensions of the Core X Chroma are otherwise identical to the Core X. Razer's eGPU solutions are notable for being officially compatible with both Windows and Mac unlike most competing eGPU docking stations. The Core X Chroma is now shipping at Razerzone.com for a starting price of $399 USD. 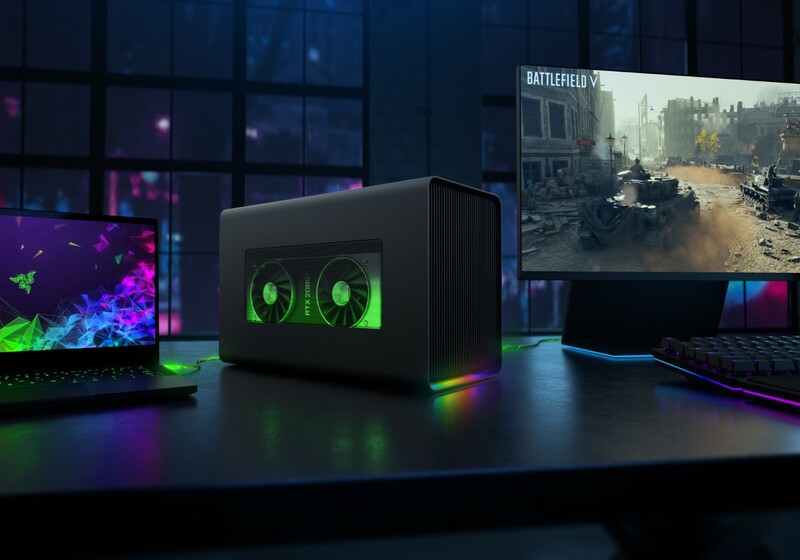 Razer does not bundle its eGPU docking stations with graphics cards and so users will have to provide their own based on the list of officially compatible GPUs below. Based on our experience with the Razer Core V2 and Aorus Gaming Box, however, eGPU docks in general work best when aiming for higher resolutions rather than higher 120/144 Hz frame rates.